Lactalis CZ decided to revitalise their product range aimed at children. 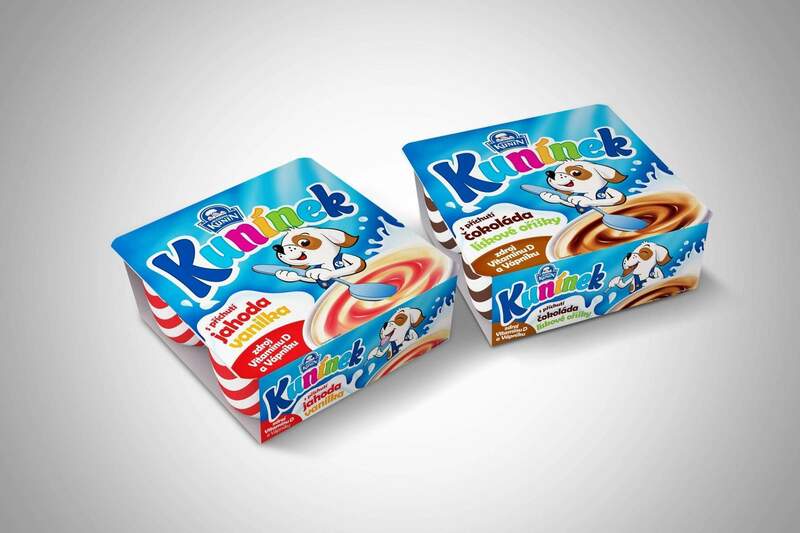 The task was to create the packaging design for new dairy products for children and visually upgrade and modernise the product range mascot, the lovable dog called Kuninek. A playful design was the easiest way to reach the playful generation. By using a color code interesting to kids and refreshing the image of the doggy mascot Kuninek to make it even more likeable, we have succeeded in creating a package that stands out on the shelves. Excellent sales results of this new dairy product in The Czech Republic and Slovakia prove that children embraced the new design adapted for this quite demanding consumer group.